On March 31st, took place an important ceremony at Dajuma, called Piodalan / Puja Wali, aimed at honoring our main temple. Every temple in Bali has its own Piodalan day, based on when the temple was inaugurated. Two references are used to determine the day of the Piodalan, which can be either based on Pawukon (Balinese weekly calendar), in this case the ceremony will be held twice a year or based on Sasih (Saka Calendar) for which the ceremony will be held once a year (mostly on full moon day). Our lovely temple at Dajuma has its Piodalan on the full moon of the tenth month (Purnama Kedasa) every year and this year it was on 31st March 2018. Piodalan is like anniversary for the temple, its purpose being to keep the balance of the 3 relations which is creates the harmony of the life according to the Tri Hita Karana philosophy: harmony between the human and the God, harmony between the human and environment and harmony between humans themselves. 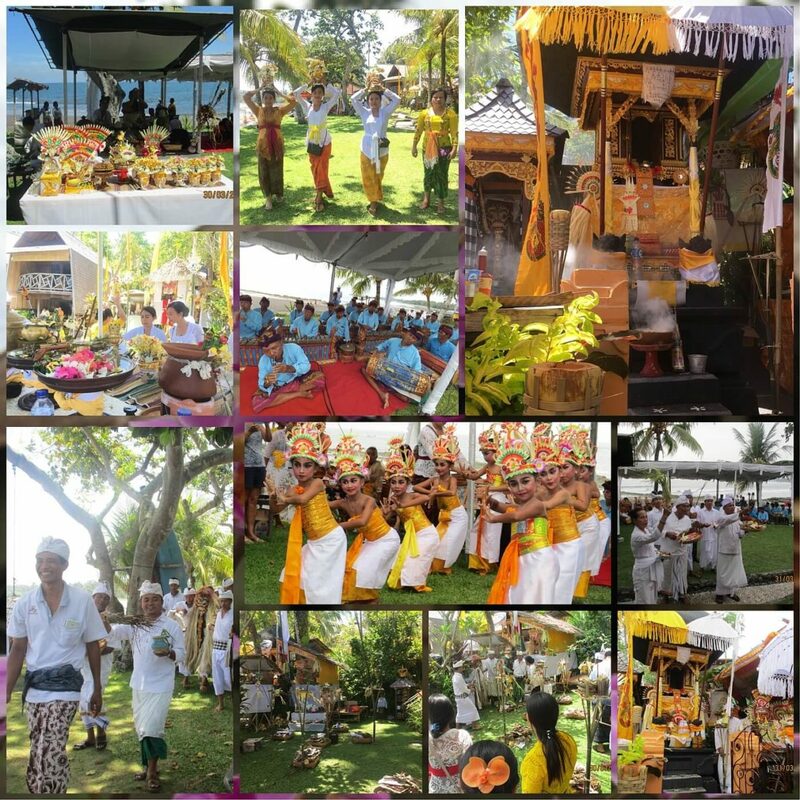 On the pictures, our staff beautifully dressed with ceremony clothes, accompanied by our guests immersed in the heart of the Balinese culture. What a lovely, auspicious time to stay at your gorgeous resort! I was so blessed to be there with you all and to feel so welcome, invited and included in your beautiful family on a very special day of ceremony and celebration. Thank you for the perfect extension of the hospitality and spirit of Bali!